On May 8th in 1990 the facilities of transport terminal by land of Florencia opened. Earlier, in this same were the headquarters of the coliseum fairs in Florencia. Currently it is possible to find the ticket windows of the following companies: Coomotor, Cootranscaquetá, Cootranshuila, Taxis verdes, Coomotorflorencia, Expreso Bolivariano, Transyarí,Gaitana, among others. 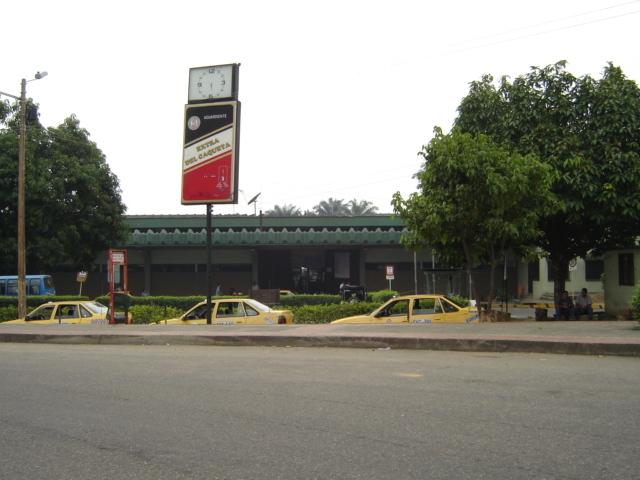 Its facilities include a taxi area and an ATM, as well as a wide cafeteria and souvenir store. It also has a small auditorium for one hundred people and an altar to honor the "Virgen de las Mercedes" (patron saint of drivers).